The Spice Emporium restaurant at The Westin Dubai Mina Seyahi Beach Resort & Marina in Jumeirah, Dubai serves authentic Thai fare in an exotic and contemporary atmosphere. Therefore, it makes an ideal venue for folks who love the classy approach towards Thai fare. The impressive décor of this eatery is quite enough to happily surprise anyone, as tall statues, paper lanterns and Far Eastern trinkets are quite adoring. On top of it, excellent Thai food of The Spice Emporium will transport you straight back to Thailand because of merit. Level of service is also quite prompt, as their staff is well-trained and knowledgeable and never lets their guests down. Due to these fine attributes, the price level is also bit high at The Spice Emporium. Under the supervision of expert chef Khampun Plangthaisong, The Spice Emporium restaurant offers a wide-ranging menu that comprises of Thai delicacies. Its menu has all the staples with some surprise elements such as beef satay sticks. Moreover, extra chilies are also provided for the ones who love intense flavours. Only fresh ingredients are used in the preparation of Thai dishes at The Spice Emporium restaurant, so the guests could get the real flavours of Thailand. 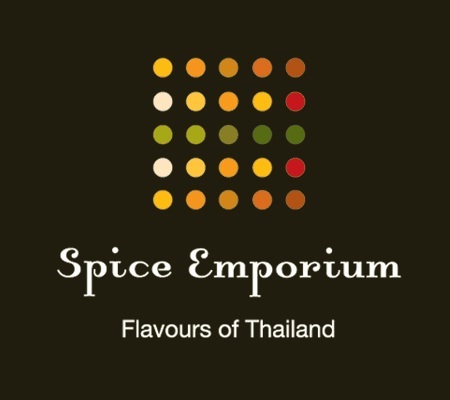 These supreme quality and highly delicious dishes of Spice Emporium are well complimented by the excellent service of the staff, which is not only knowledgeable but also quite friendly and greets guests by bowing their head down and pressing their hands together. This friendly staff then takes the guests to indoor or outdoor seating where they can also enjoy live music and dancing. Those, who got seats in the outdoor of this bistro can also enjoy the splendid views of the sea as well. Parking is complimentary which adds more charm to this family friendly eatery. Alcohol is also served at this restaurant. From Saturday to Wednesday this bistro remains open between 7:00 pm and 10:45 pm, while on Thursdays and Fridays operations begin around 7:00 pm and last till 11:45 pm. The Westin Dubai Mina Seyahi Beach Resort & Marina, Al Sufouh Road, P.O.Box 213084 - Stadtteil Dubai Marina - United Arab Emirates. The Spice Emporium restaurant has no metro station within its 2.5 kilometres distance. Therefore, the best way to reach this site is by bus or car. Mina Al Siyahi, Le Meridien Hotel 1 is located 350 meters away from The Spice Emporium which makes it a walking journey of about 5 minutes. 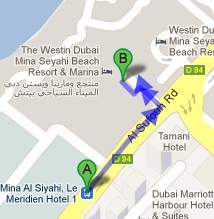 All a person needs to do is to take bus number 8 and arrive at Mina Al Siyahi, Le Meridien Hotel 1, from where he or she should head in the northeast direction on شارع الصفوح‎/D 94, then turn left and afterwards make another left turn to finally reach a right turn that will lead him or her straight to the destination. See map for directions.